This post really doesn’t have much to do with social media but it could, easily. You see, I’ve been in Detroit for the last 2 weeks and I want to let you know as well as the people of Detroit, that I’m pulling for them. As we all know the city has been hurtin and it shows- it’s been taking some pretty heavy hits from the auto industry over the past few years though the recent GM IPO is certainly a shot in the arm. In the 2 weeks I was there though, I’ve been in sections of the city that you really don’t want to be caught walking around in after dark. As well, these same parts of the city, can even be somewhat dicey during the day. Parts of the city don’t look too good. Other parts are not much better. They’re shells of their former selves. There doesn’t seem to be much of a rush hour anymore and the downtown area is not a thriving metropolis like it should be. Bleak picture right? But, what you haven’t heard from me yet is anything about the people and you know why? Because that’s what’s going to pull Detroit through all of this. The people. The people I’ve met could not be more resolute. They are strong, kind, understanding and realize that what is at stake here is the fate of their city. Their city. They get it. So do I. They are optimistic and so am I. Why? Because I felt it, I heard it and I believe them. These people know the task at hand. The Detroit that we all once knew, it’s gone. 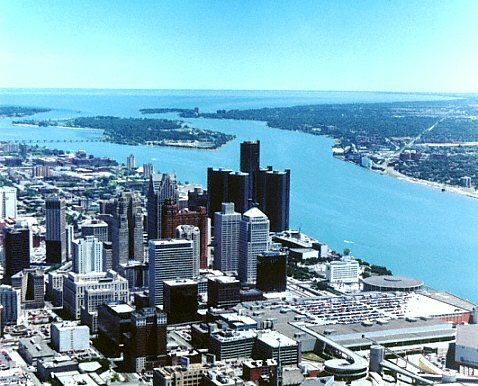 The new Detroit is going to need to reinvent itself and I firmly believe it will. It make take some time, but I believe it. I saw it in the eyes of the people that are still there-they are beaten but not broken. They still smile, they still laugh and they are still friendly and they are still blessed. That’s why I have your back Detroit and that’s why I’m pulling for the Motor City. This entry was posted in Detroit and tagged Detroit by marc meyer. Bookmark the permalink.